So pretty! This dainty little bracelet makes a wonderful gift for a girly girl. Made using environmentally friendly techniques, this dainty bracelet makes a wonderfully heartfelt and stylish gift for anyone who loves the beauty of nature. 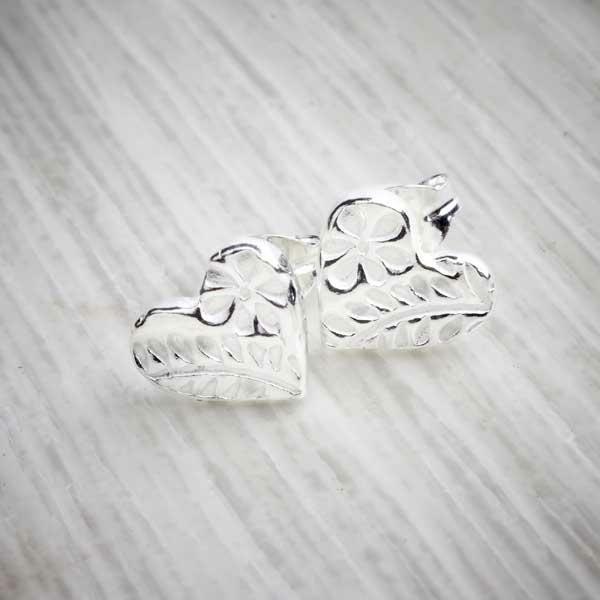 This bracelet has a small handmade heart charm that’s engraved with an intricate floral design and adds an elegant touch to any outfit. We’re proud to say this bracelet is entirely handcrafted. 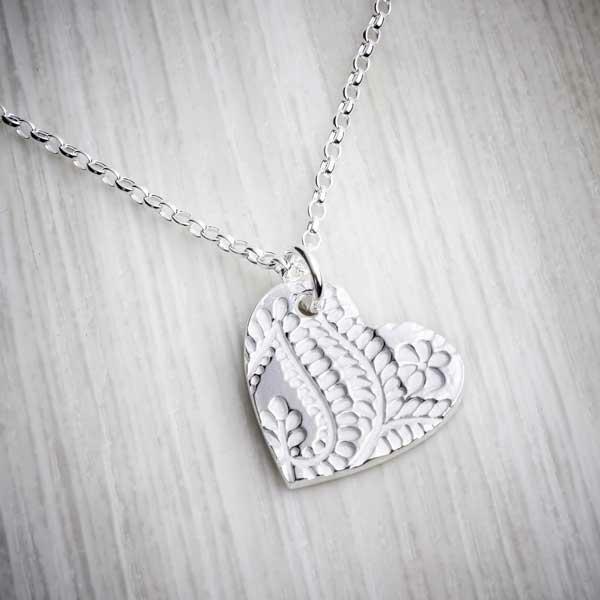 The charm is made from Precious Metal Clay (PMC) that is shaped, sanded and fired in a kiln using techniques similar to pottery rather than silver-smithing. 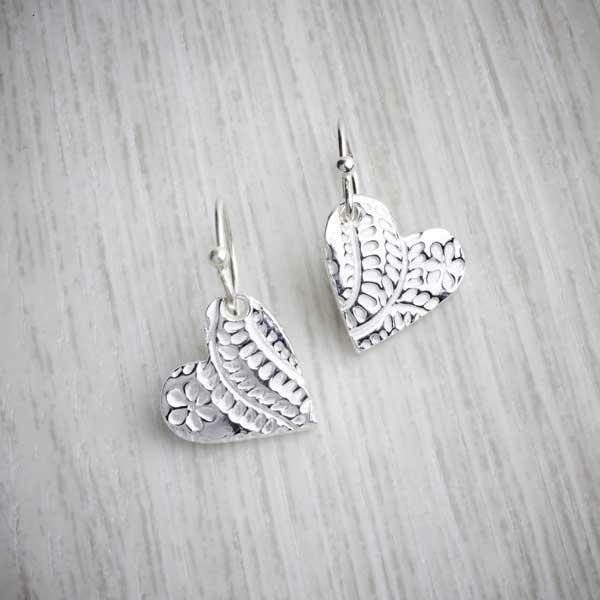 This results in an eco-friendly way of creating beautiful jewellery. If you’re looking for the perfect birthday gift or Christmas gift for an outdoorsy loved one, this is just the thing. 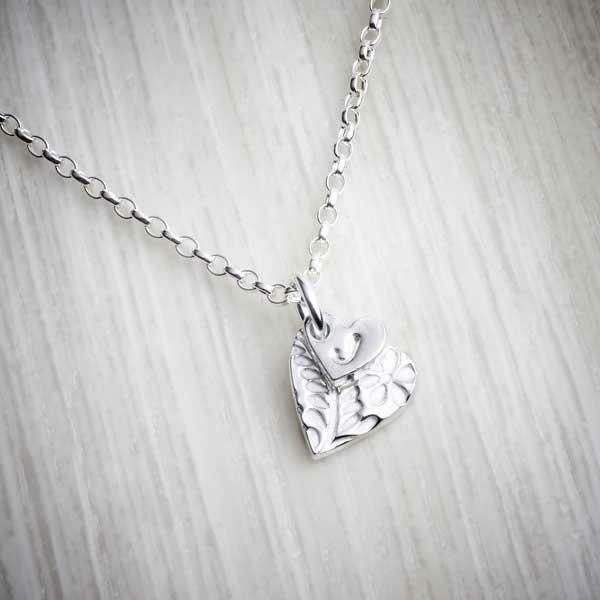 We use eco-friendly techniques to make every piece of jewellery so you can enjoy guilt-free jewellery. The bracelet also makes a romantic gift for Valentine’s Day or an anniversary gift; it’s ideal for someone who has a penchant for the pretty things. But jewellery doesn’t have to just be for others. Why not treat yourself and indulge in a couple of coordinating pieces from our collection inspired by the countryside surrounding our studio? 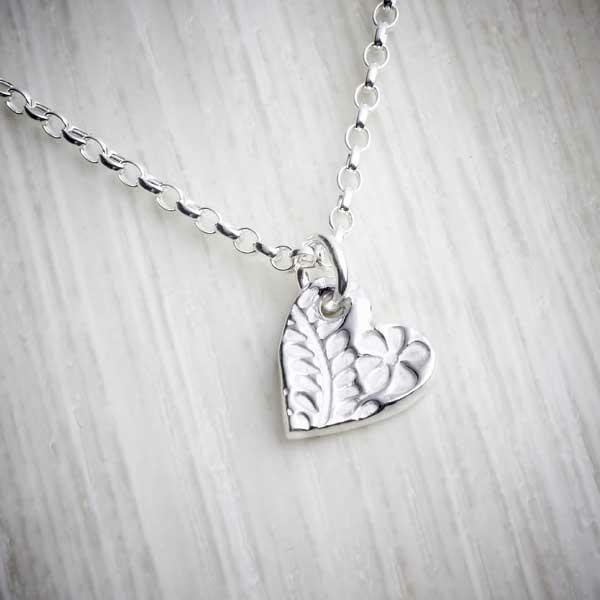 The heart charm is made from Precious Metal Clay (PMC) and the chain is handmade from sterling silver. We recommend you store your jewellery in the original packaging. Ensure that you don’t store your jewellery in direct sunlight or hot, damp conditions like bathrooms.